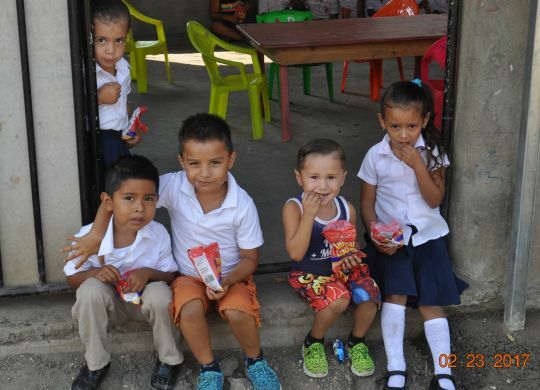 While on a Fuller Center Global Builders trip to Las Peñitas, Nicaragua, in late 2015, Rick White visited the Miracle of God Preschool. He found beautiful kids, dedicated teachers and woefully inadequate facilities. He resolved to do something about it. He launched a fundraiser to pay for the addition of walls, safe electricity and running water, which he helped install. Then, he moved on to phase two of improvements, adding a covered patio and walled kitchen area. He and friend John Manchester went to Nicaragua last month to help complete that project. Next up is a weekend trip at the end of May to complete a latrine for the students. While The Fuller Center for Housing is focused primarily on making sure families have simple, decent place to live, we are proud to be a catalyst for other improvements in communities and grateful to be associated with the good folks who go above and beyond to help build a better world.